Root Beer | Cupcake Villains Strike Again! Hello again! I feel like it’s been forever since I’ve posted, though it’s only been a few weeks. This recipe has been brewing in my head for a while. A friend suggested root beer cupcakes, and I wanted to step them up a notch. I kept thinking of sarsaparilla, which I used to get in Old Town Sacramento growing up. It has a spicier taste with a hint of ginger. 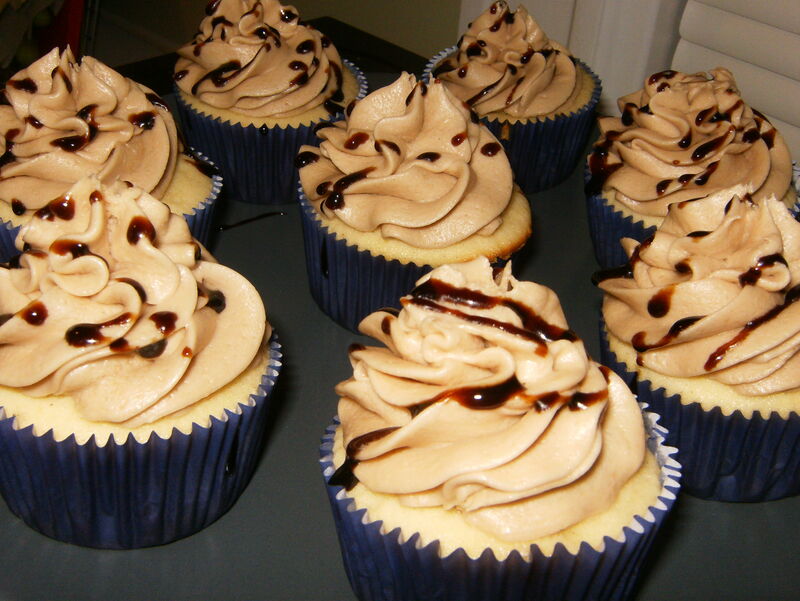 With that thought, I decided to use a gingered cupcake and top it with root beer frosting. Thankfully, I had a bottle of Root Beer Float Dessert Topping that I bought this summer from Cooking Up Ideas, one of my favorite stores in Fort Bragg, CA. I am using the dessert topping as the root beer flavoring in my frosting, but if you don’t have it, check below for alternative ideas!